Mormons first came to Mexico as soldiers during the Mexican-American War and later as missionaries, refugees, and settlers. Just South of Zion assembles new scholarship on the first century of Mormon history in Mexico, from 1847 to 1947. The essays cover topics such as polygamy, colonization, the role of women in Mormon local worship, indigenous intellectuals, Mormon transnational identity, and the role of violence and masculinity in Mormon identity. Representing a broad variety of scholarship from Mexican, US, and Mormon historical studies, the volume will be recognized as a useful survey of religious pluralism in Mexico. 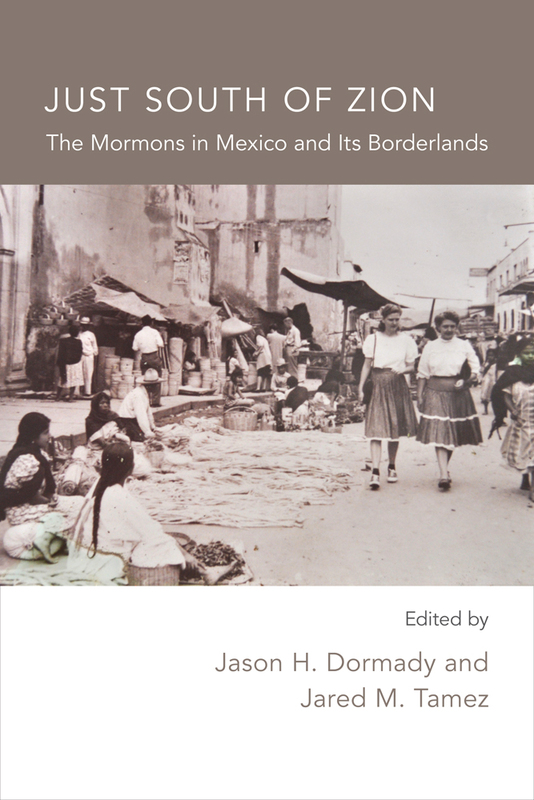 Unlike earlier books on the subject, it does not include religious testimony or confession, offering historians a chance to reconsider the significance of Mexico’s Mormon experience. A glossary of LDS terminology makes the book especially useful for students and readers new to the topic. Jason H. Dormady is an associate professor of history at Central Washington University. He is also the author of Primitive Revolution: Restorationist Religion and the Idea of the Mexican Revolution, 1940–1968 (UNM Press). Jared M. Tamez studies Latin American and US-Mexico borderlands history. He is the cofounder of the academic blog Borderlands History (www.borderlandshistory.org).